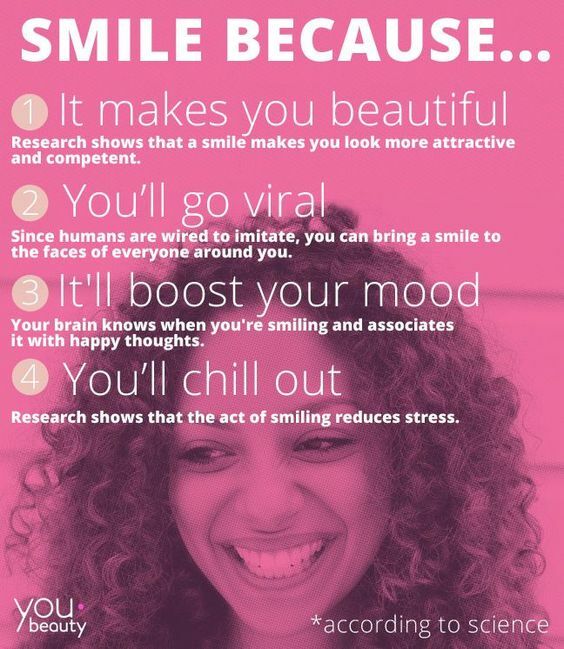 Here are the BEST 5 ways to improve your smile! You may be wondering what you can do to make your teeth look more attractive. This is my simple guide to the MOST EFFECTIVE ways of making a real difference to your smile. Why would you want to improve your smile? There are several possible reasons, and they are personal to you. Not everybody wants the same appearance, and what may not bother one person may be the worst thing in the world to someone else. It's all a matter of personal preferences! FIRST, let's take a look at some of the issues that may be bothering you. 1. Are your teeth stained from coffee, tea, smoking? 2. The "arrangement" of your teeth - are they crooked? 3. The natural color of your teeth - are they a little yellow or "creamy"? 4. The shape and size of your teeth - are they very small, or maybe a bit big? 5. The position of your teeth - are they prominent, or are they at an angle? 1. Stained teeth. There are 2 ways to deal with this. Obviously, you need to remove the staining, which is actually a very thin layer of dark material on the surface of the tooth. This can possibly be removed by using a stain removal toothpaste with a good-quality electric or sonic toothbrush. BUT it's important to use a toothpaste that is NOT too abrasive, otherwise you risk damaging the surface of your tooth enamel. This cannot be repaired. I recommend Arm and Hammer toothpaste. The best toothbrush is the Cybersonic3 from Amden. The other way to remove staining, if you are in a hurry or there's too much staining to remove at home, is to visit your dentist and get a professional cleaning with him or her, or the dental hygienist. This option will get your teeth as white as they can be, by removing all surface staining. It will also be good for your gums, as the hygienist will also remove any build-up of plaque and tartar from around your teeth. If you want to get an even whiter and brighter smile, skip down this page to Number 3 to discover your options. 2. The arrangement of your teeth. Are they crooked? This is something that is a matter of degree. Most people have one or two teeth that are not perfectly in line. I do! But it's not a big issue, and these folk are happy with their teeth the way they are. 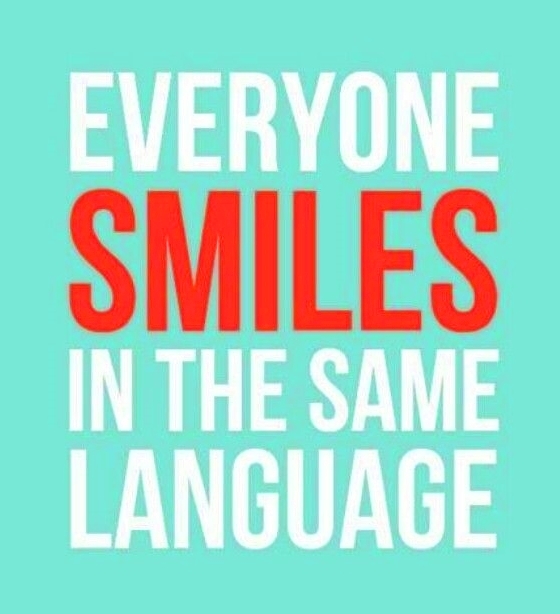 BUT if you have several teeth that are out of line, and you feel that your smile is "crooked", there are some options! But first, remember that there are a number of celebrities with crooked teeth who seem to get along just fine! 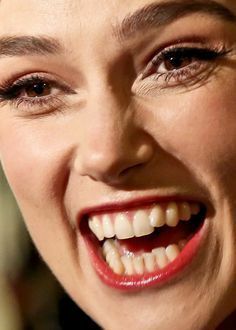 For example, Keira Knightly, below. So, what can you do to improve crooked teeth? As always, there are several options, depending on how severely crooked your teeth are, and how much of a rush you are in. The first one to consider is getting some braces. You can either get the fastest, most reliable braces - but these are the most visible. Or you can get a set (or series) of clear plastic aligners, which are much less visible but also work more slowly. Alternatively, you can have your dentist improve the alignment of your teeth with either dental veneers or perhaps composite bonding, which is quicker and cheaper but may need replacing sooner than veneers. 3. The natural color of your teeth. Are they a little yellow or "creamy"? Sometimes your teeth may be quite white, but you want them brighter? The answer is tooth whitening. There are basically 2 ways to get tooth whitening. The first is to go along to your dentist and ask about "dentist-supplied" tooth whitening - BUT make it clear that you want the take-home type of whitening. This is less expensive, and works better, because it's done slowly over a period of time, compared to the 1-hour "in-chair" whitening (sometimes advertised as Laser Whitening). Take it from me, the take-home method supplied by a dentist is probably the best option. However, if you like the idea of a tooth whitening system you can get online, there is only one that I would recommend. It's cheaper than the dentist-supplied system, but it takes a little longer to work, and the final results may not be quite as good. BUT close! The best (and only one I recommend) available online is from SNOW whitening. Read more about it HERE. 4. The shape and size of your teeth. Maybe they are smaller than you would like, with small spaces between them? Or tooth big? While getting braces on your teeth can close spaces, and get your teeth nice and straight, braces can't do anything about the basic size and shape of teeth. To make teeth bigger or smaller, we have be a little more aggressive. This means we need to drill down the surfaces of the front teeth a little, and then fit veneers (either laboratory-made ceramic, or else CAD/CAM assisted CEREC veneers). Veneers can look superb, but they can only correct smaller problems to do with tooth size and position, as they have to be less than 1 millimeter thick - preferably half that, otherwise there is a danger of the porcelain chipping. For bigger corrections, we have to look at Problem 5. 5. 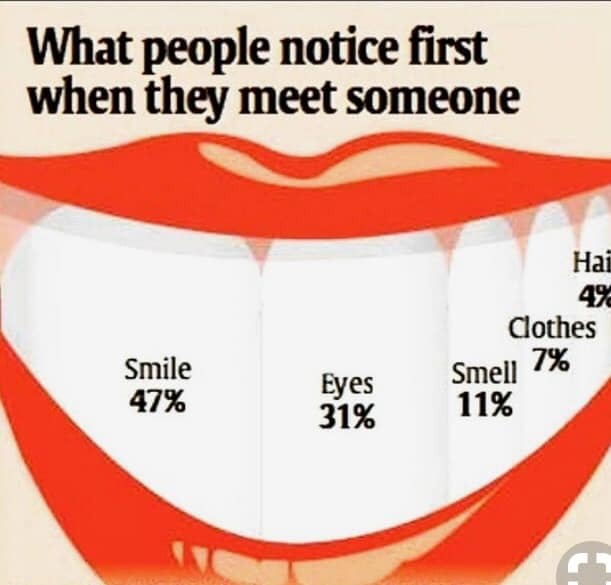 The position of your teeth. Are they at an angle, or tilting inwards or outwards? These problems take us beyond what veneers are safely capable of, and mean that we have to step things up a bit. This usually involves getting caps or crowns. They are the same thing, but dentists call them "crowns" and the general public usually call them "caps". The difference over veneers is that the dentist needs to drill down the tooth all the way round, making the whole tooth smaller overall. The cap or crown is like a thimble that fits over the remaining tooth. This "thimble" is, of course shaped like a tooth, in porcelain that matches your tooth color - or lighter, if you are getting a number of crowns done at one time, and want them all to be lighter than your natural tooth color. Dental crowns can give excellent results, looking just like natural teeth, but straight, white, and of a size and shape that matches your facial features. If you're planning a big dental make-over to improve your smile, I'd recommend looking for a dentist who is a Member or a Fellow of the American Academy of Cosmetic Dentistry, if you're in the States, or a similar organization if you live elsewhere. Check for a dentist near you at the AACD website homepage. I hope my guide to 5 ways to improve your smile has been helpful. This is one of the questions that I am asked most frequently, so I decided to put my answers into one page!